Then one day I came across Isaiah 46:4 – “Even to your old age and grey hairs I am He, I am He who will sustain you. I have made you and I will carry you; I will sustain you and rescue you.” The verse went straight to my heart and gave me comfort. Every time I start to get worried, I simply speak the verse to myself and my peace comes back. This is just another way of saying He will carry us! Despite Jesus’ unusual birth to a virgin Islam still considers him to be simply a man chosen by Allah to be a prophet. He is viewed as a created being from the dust just as Adam was (Qur’an 3:59). To consider Jesus as anything more than his humanity would be to ascribe to him some status of divinity, and as we have seen previously this is a serious sin. Allah reveals himself through the Qur’an as being one, and in being the only one. He is if you like singular in construction and the only one of his kind. Interestingly, there are two aspects regarding the Islamic view of Jesus which are not fully explained. In the previous verse you may noticed that Jesus is referred to as a ‘word’ and a ‘spirit’ from Allah. What exactly does this mean? The Qur’an does not make any further reference to it and they are unique to him. From a Christian perspective Jesus being described as a ‘word’ is familiar as it is found in the opening verses of John’s Gospel to denote his divinity. Alongside this, the Qur’an also makes the unexpected claim that Jesus was holy, faultless, pure, or righteous depending on your translation from the Arabic in Qur’an 19:19. These characteristics are commonly associated with divinity outside of Islam and offer a stark contrast to Muhammad who required forgiveness for his sins (Qur’an 48:2). Many Muslims are not aware of this last verse and can take offense at the suggestion that their greatest prophet is in fact sinful, so refer to it with care and respect. 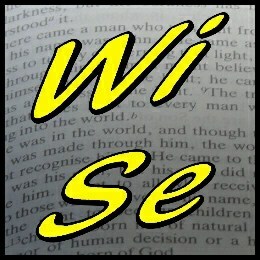 G’day and welcome to WISE! The word for today is Trinity! One of the problems that people tell me they have with the Christian God is the concept of God being a Trinity, asking “Why must God be a Trinity?” After all they say, the word Trinity isn’t in the Bible! And they are partly correct, insomuch as that there is no explicit Bible text using the word trinity. However, the concept is explicit throughout the Bible. Love Indivisible – One of the main errors people make regarding the Trinity, is that the three names, Father, Son and Spirit are simply three different modes of the one God. However the Christian doctrine of the Trinity states that God, is made of one indivisible essence or substance, and this is expressed in three persons – Father, Son and Holy Spirit. Each belongs to the whole undivided essence of God. The totality of God exists in the Father, the Son and in the Holy Spirit. Each member of the Trinity is co-equal, co-eternal, self-conscious and self-directing. The three members never act in opposition to any other member, but always in complete union and harmony. The three members are always in complete union with the other. Love Precession – This endeavours to describe the relationship within the Godhead. While, there seemingly is an order of succession in their relationship, this in no way means superiority & inferiority. The Son is begotten of the Father (John 3v16) and does the Fathers Will. Both the Father and the Son sent the Holy Spirit (John 15v26). Love Relationship – There is a communal honour between the Trinity Persons (John 15v26; 16v13-15; 17v1, 8,18,23). In the work of redemption or salvation, there is a co-ordination in the Triune Godhead (Hebrews 10v7-17; Ephesians 4v4-6; 1 Corinthians 12v4-6). The Father ‘elects’ (Ephesians 1v4); The Son ‘redeems (Ephesians 1v7); and the Holy Spirit ‘seals’ (Ephesians 1v13-14). Between the three Persons, there is an eternal unison in active purpose and yet seemingly external distinctive between the Three members of the Triune Godhead. If God was a single essence, as some people say, then how could love possibly be shown, as love requires more than one Person for it to be active? God is love. The Father totally loves the Son and the Spirit. The Son totally loves the Father and the Spirit. The Spirit totally loves the Father and the Son. This Trinitarian God exhibits love and commands His Disciples, to love one another so that He will be seen (John 13v34-25). When you show love, you reflect and reveal the Trinitarian God, in whose image you are made. Most modern societies, particularly in the West, are pluralistic with a many cultures, within any city and country. With this advent of pluralism, comes the widely held belief that all religions, creeds, beliefs and non-beliefs are equal, which all ultimately lead to God and that after death, every person will enter heaven and have everlasting life with God. That is universalism, and sadly, some Christian churches hold this belief. However, that is contradictory to what Jesus said in the bible passages I read earlier. That is not to say that each religion does not have an element of truth within it, but only one religion is ultimate and absolute truth and that is Christianity. 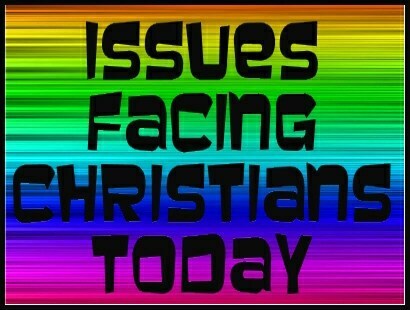 As Christians in the twenty first century we are often informed that Christianity is wrong, and that Jesus Christ can’t possibly be the only way to God, even if a God or Gods exist. So how are you going to go on each day loving God and loving others – both online and offline? You can leave me your answer here if you like! Testimony of what happened shortly before graduating college in 2007, which was a milestone to developing Partakers… What happened, you may think is my own presupposition, a sensational figment of my imagination or even a false memory! We pray together and when Christians pray together, from different nations, different churches and different denominations – that reveals Church unity! Come! Let us pray and profess together!